One of the greatest things about German white wines is the high levels of acidity that keep them fresh and make them live for so long in the bottle, also make them food-friendly and mouth-watering. The result is they make you hungry like an aperitif should. In the current climate, you naturally want robust hearty food that warms you up, such as bratwurst, wiener schnitzel and sauerbraten. Thus any of the weight I lost in France three weeks ago, I have subsequently put back on as my appetite has gotten bigger and I have been eating more protein and carbohydrates. This is why German Riesling and Asian food is so great together, as everything tends to be fresher and lighter. Not to mention the higher sugar levels and lower alcohols really keep the spice in check. Weingut Robert Weil is one of the largest wineries in the Rheingau, producing 600,000 bottles per year. Compared to many new-world producers, this is nothing, but compared to the Mosel where the average winery owns just a few hectares of vines, this is large. In spite of this, Robert Weil is consistently rated as the top producer in the Rheingau, and certainly the most successful. With origins in the Mosel region, Dr. Robert Weil was a successful professor of German at the Sorbonne in Paris, when he was forced to repatriate to Germany during the Franco-Prussian War of the 1870s. 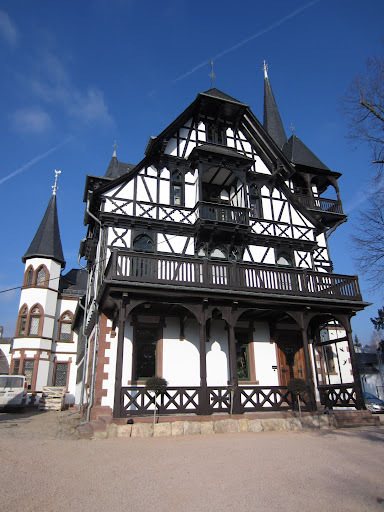 He decided to settle in the picturesque village of Kiedrich in the Rheingau region, which already had a world-renowned reputation for wine production, at an estate formerly owned by an English baronet. Dr. Weil then spent time converting the estate from gardens to viticulture, and the homestead to cellars. Establishing a name for his wines, the winery survived all the vicissitudes of the 20th Century to sit at the top of its game in producing dry and sweet white wines. The winery now owns 80 hectares of vineyards, and is currently expanding and renovating the winery to account for the high demand for their wines around the world. 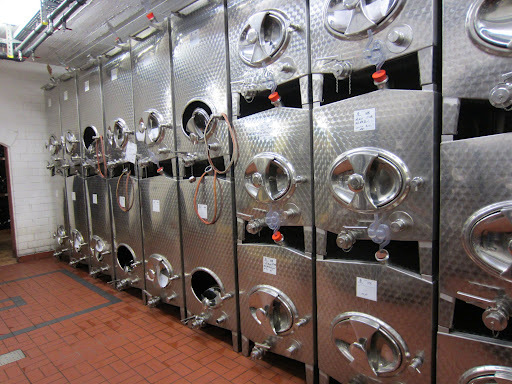 The majority of the wine is fermented in stainless steel tanks and bottled young, but the top dry wines and the spatburgunder are fermented in traditional 1200 L barrels. The vineyards are in one of the coolest parts of the Rheingau, with elevated south-west facing steep slopes. As such this is one of the best places for sweet wines in the region, particularly for eiswine which had been harvested the previous day. The natural acidity of the wines is extraordinary, but they still remain approachable and easy-drinking. The winery uses the VDP system of vineyard/wine classification, having a gutswein (estate wine) made from estate owned fruit, ortswein (village wine from one area) and then erte lage from specific vineyards within a village. Click here to read notes from the tasting. In 1870, Balthasar Ress owned and ran a restaurant on the main street of Hattenheim, and sold wine from other producers. He purchased the adjoining estate and ten years later opened Hotel Ress, which changed the face of hospitality in the region. His son Karl Ress expanded the estate further to begin winemaking, and his nephew Paul Ress who took over the winery in 1977 began to acquire some of the finest plots in the middle-Rheingau, mostly in Hattenheim and Rudesheim. 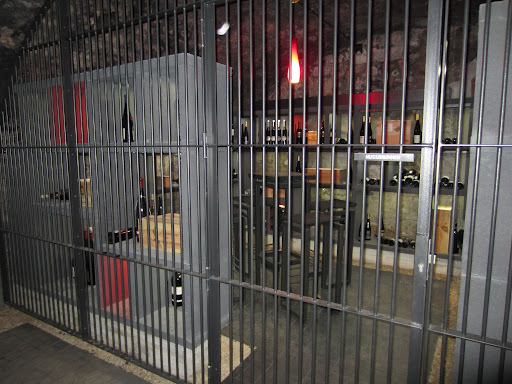 The estate is now used for conferences and events, and the underground cellars have become the Wine Bank, where you can rent cages to store your wine. It was interesting to see what wines people in the area were storing; mostly local riesling, but some bordeaux and burgundy. A wine production facility has been built outside of town, which is where all the wines are now made. The Balthasar Ress business still operates as a negociant, and also as an agent for German wines in export markets. The focus is certainly on the estate wines, which are one of the most successful German brands in the export markets. Much of the success is likely due to the fresh, approachable and food-friendly wines, and to their penetration and exposure in many markets. What puzzled me is how they sell so well with such complicated labels, as there seem to be a number of conflicting inconsistencies. Purely from a marketing perspective, the hierarchy of product elements seems to be blurry, and it is difficult to determine what the most important elements are; estate, region, variety, style, quality or vintage. 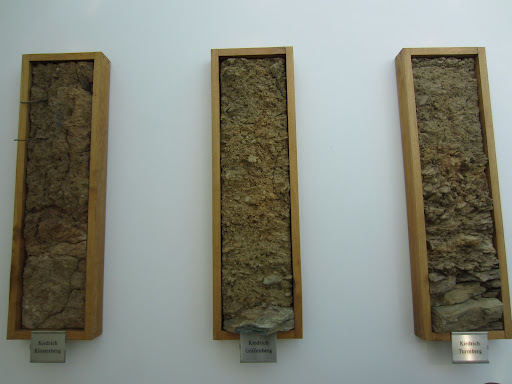 The second problem they have is the conflicting systems they are utilising, between the traditional German wine classification of qualitatswein, and the modern VDP system of style and vineyard quality. This winery certainly isn’t unique in these issues of communication and ease of understanding, but they served to highlight one of the things holding German wines back in emerging markets like the USA and Asia. The estate wine, the Von Unserm Trocken Riesling, has history dating back to when the current owner Ress’ father ran a restaurant out of the estate and produced his own wine designated in the cellar as Von Unserm (our wine). 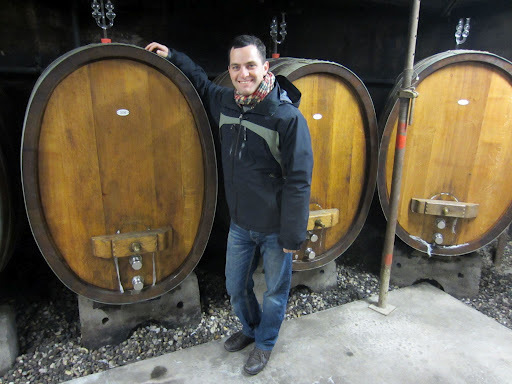 Click here to read my thoughts on this and other wines made by Balthasar Ress. Click here to see more photos from Day Three in the Rheingau.